NO. 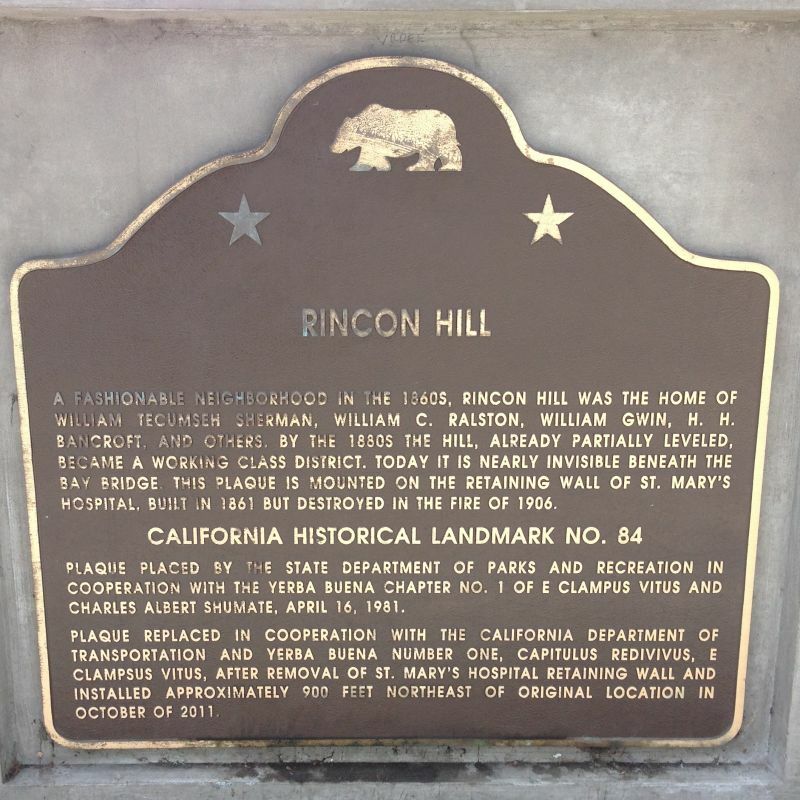 84 RINCON HILL - A fashionable neighborhood in the 1860s, Rincon Hill was the home of William Tecumseh Sherman, William C. Ralston, William Gwin, H. H. Bancroft, and others. By the 1880s the hill, already partially leveled, became a working class district. Today it is nearly invisible beneath the Bay Bridge. 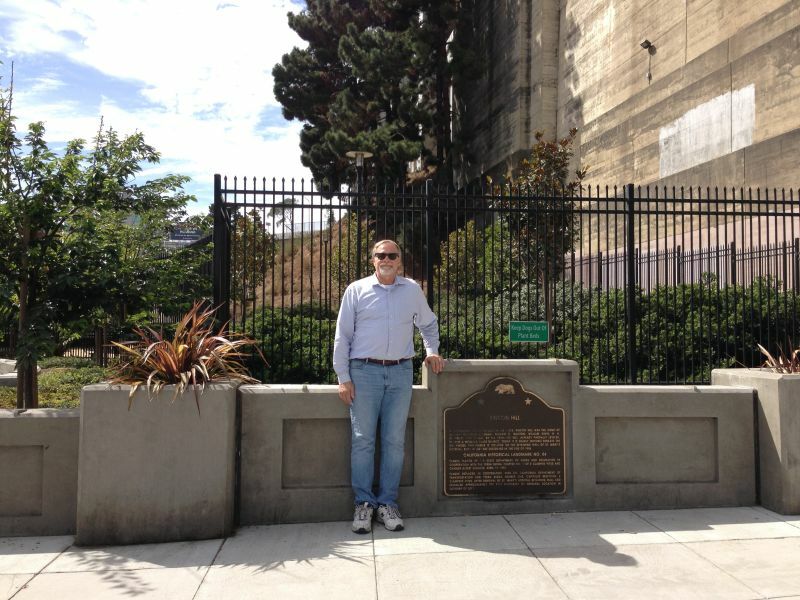 This plaque is mounted on the retaining wall of St. Mary's Hospital, built 1861 but destroyed in the fire of 1906. Corner of Bryant St. and Beale St.